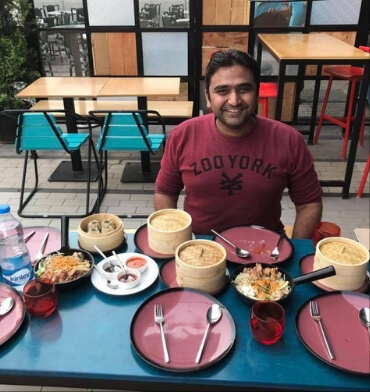 Aniruddha Patil is the founder of Pune Eat Outs – the #1 Facebook group in Pune and the PEO Privilege Programme. The PEO group was started by Aniruddha in September 2005, when Facebook had not yet made it’s entrance in India. PEO was born on Orkut and was later moved to Facebook on 17th May 2009 – with the same values, community spirit and a will to bring PEOple closer through the medium of common love for food. After 11 years of working as a corporate all over the world, he decided to take a plunge and followed his love for PEO and its PEOple. The most important goal of PEO had always been about adding value, not only to the customers, but also to the restaurants and other parallel contributors to the Social Food Ecosystem of Pune – just what PEO has achieved through the carefully curated guidelines, continuous monitoring of content on the Facebook group, Offline Meets & Events and PEO Privilege Programme bringing the community closer one step at a time. A mentor to many aspiring to make a mark in any aspect of the food industry, Aniruddha possesses a warm readiness to help any restaurant or food-related business to flourish and grow and an eagerness to make sure no one goes unheard – the patrons as well as the restaurants – evident from the way he manages the PEO Group. Aniruddha is a very difficult but at the same time a very easy man to reach. Call or email him any time and he will receive it with the same humility and excitement to help you in any way he can. Such is the PEO Man!